the lube major, through the initiative, is stressing upon building greater collaboration with customers on the basis of a study it has carried out. The study revealed lubrication practices in the manufacturing and construction sectors in India in view of the arrival of new technologies like Industry 4.0. The study also revealed a belief that effective equipment maintenance can lead to cost savings against a backdrop where expertise is lacking. 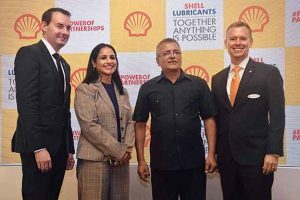 Through the ‘Power of Partnerships’ initiative, Shell Lubricants, in association with OEMs and industry experts, is aiming to help bridge the gap. It is aiming to deliver value to customers by tapping industry knowledge and expertise.